When I tell people that I’m a herbalist, they usually think one of two things… or maybe both. That I work with clients. I used to think the exact same thing when I thought of herbalists, but thankfully, those limiting beliefs didn’t stop me from becoming one. You see, I wanted to become a herbalist for a variety of different reasons, and those reasons outweighed what I thought a herbalist really was. 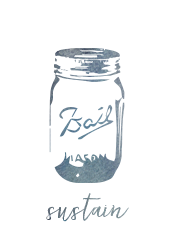 I’d also come into contact with a few herbalists that were doing things a little differently than what my ideas of a typical herbalist were and I began to realize that my previous thinking wasn’t exactly on point. 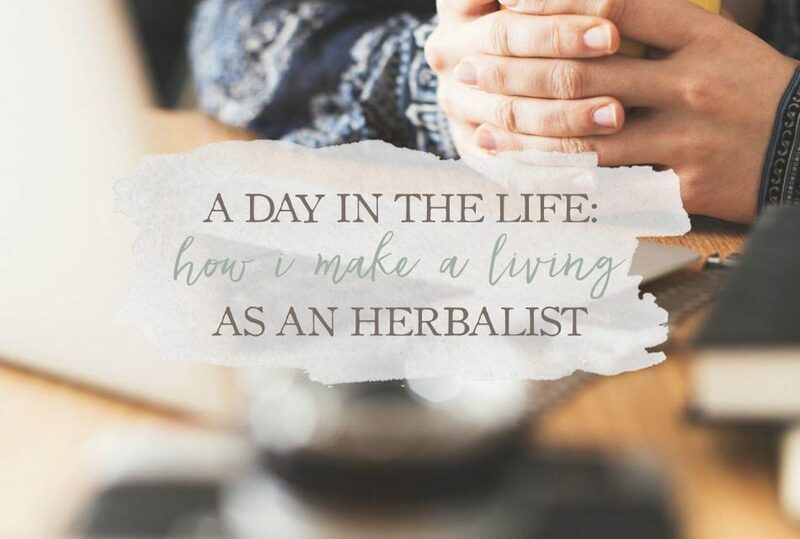 Today, I’d like to share how I make a living as a herbalist with you… at least at this point in my life. I think this is something that people are curious about as there are many different ways one can practice herbalism or work as a herbalist. My first “job” as a herbalist was working for myself. 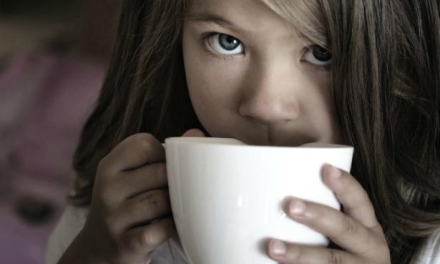 You see, I opened a little Etsy shop where I made and sold organic herbal skin care products for children. I took what I knew about formulating herbs and making skin care products at home, and I built and grew a successful little shop. I had consistent sales, wholesale accounts with natural boutiques across the US, and my products made it to the front page of Etsy many times. Those were good days. My babies were small. My days were slower. It was a time of exploration, learning my way around building an online business, and growing into my own as a herbalist. However, my shop didn’t last. You see, my business needed a change in direction because my life was changing directions. What happened was that I moved way up on this here mountain, had my fourth baby, and officially started homeschooling. Oh yeah, and blogging became “the real deal” for me. I decided to put my shop on vacation during our November move and had every intention of opening it back up once we were settled after the new year. But, the new year came and went. Then I decided that I’d open it up after Ezrah was born. But, April came and went. Then came September, and Judah was officially in 1st grade which meant I really had to buckle down and teach him something. So, still yet, the shop was put on the back burner, and there it stayed. But, during all that time of moving to a new house, settling in, having a baby, and starting homeschooling, I was blogging. Blogging, blogging, blogging. I was learning what it meant to blog, how to focus my blog and really help my readers, and how to turn this blog into a business and make money. I connected with other bloggers in networking groups. I took courses that would help me. I hired help for things I didn’t know how to do. 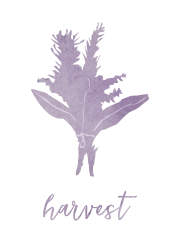 Slowly but surely, Growing Up Herbal grew, and I started getting a good bit of traffic and making a decent amount of money to justify the time I was putting into this space and to help pay for it too. My second “job” as a herbalist was taking off. 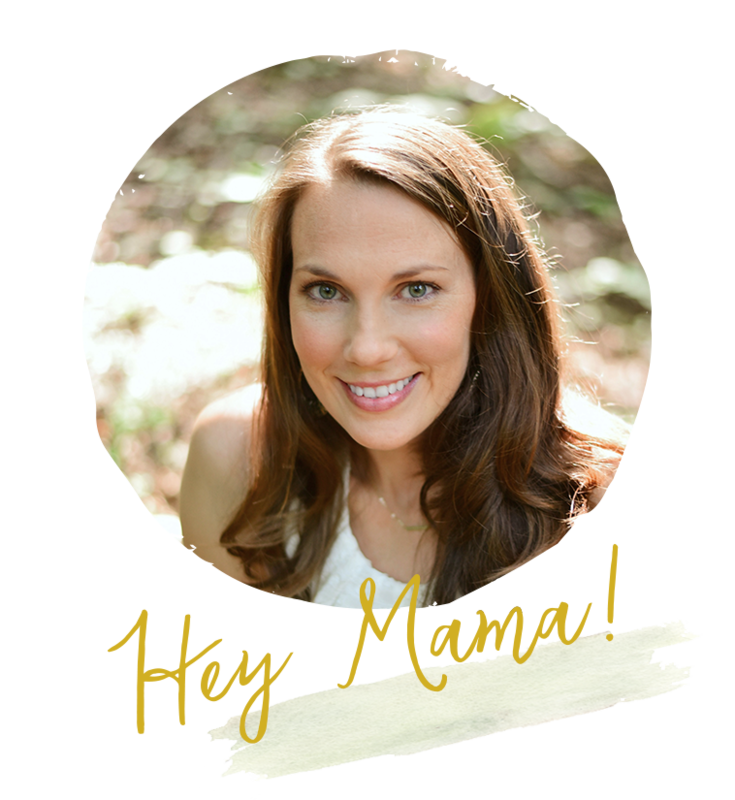 As I learned how to blog and make money here on Growing Up Herbal, I wanted to see if I could do the same thing for other herbal businesses. About a year before our move to the mountain, I had reached out to Shoshanna Easling, owner of the Bulk Herb Store, to see if she was interested in me starting a blog for them. She said yes, and over the course of that first year we got a team of bloggers together, set a schedule and some guidelines, and established the BHS blog. This was my third “job” as a herbalist. 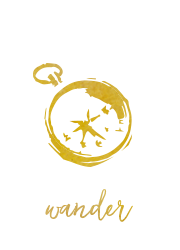 Now, not only was I running my own herbal business (GrowingUpHerbal.com), but I was working as a herbalist for another herbal business! After a year of managing the Bulk Herb Store blog, I’d settled into a pretty systematic way of doing things and had some ideas on how to grow the blog in order to make it more professional. I took a leap of faith, told them my ideas, and asked for a big raise. Guess what? I GOT IT! They were super excited about my ideas, the were behind me 100%, and they were ready to support me in doing whatever I needed to do to get the blog up to the next level… and pay me to do it. And not only that, but they offered to send me to herbal school free of charge! 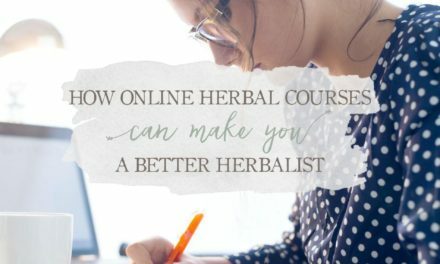 I immediately enrolled in the Herbal Academy of New England’s Intermediate Herbal Course and got busy with my herbal studies and making the BHS blog even better. 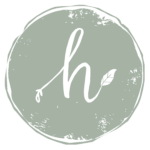 Since then I’ve completed my herbal course with HANE, the BHS blog has grown even more, and I’ve stepped into an even bigger position with the blog (which included another raise). This is where my fourth “job” as a herbalist comes into play. 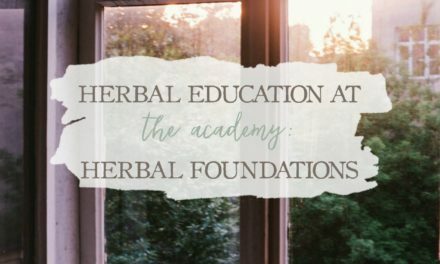 This year I took another leap of faith and reached out to the Herbal Academy (previously HANE) to see if they’d be interested in having me manage their blog for them. And guess what? THEY SAID YES!! At this point, I make a living as a herbalist by being an herbal writer and online educator. 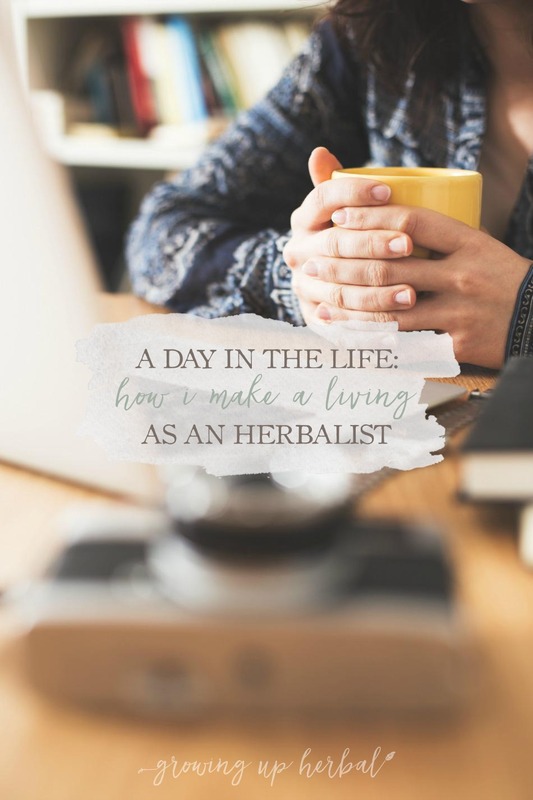 I do this by blogging on my own blog (Growing Up Herbal) and by working as the blog coordinator for two, very successful herbal businesses (Bulk Herb Store and The Herbal Academy). 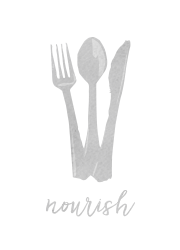 Both of these blogs have large blogging teams that write the majority of the content, and I have a team of people that help me do what I need to do behind the scenes to make sure everything runs smoothly and gives the readers what they want and need. I’m grateful to work for these two amazing companies and thankful that they put their trust in me to manage this aspect of their businesses. I’m grateful to get to know and become friends with all of the great herbalists that write and share their gifts of knowledge with others. I’m grateful that I get to do all of this from the convenience of my home, on my own time, with my children by my side. It’s not always easy, but it’s totally worth the effort. I’m also still very much focused on Growing Up Herbal and giving my readers, that’d be you, what they need and want. Growing Up Herbal is not only a place to share my life and what I’m learning when it comes to nurturing children naturally, but it’s a place to encourage aspiring herbalists to step out of their comfort zone and explore herbs in a simple, creative way that really helps them really learn and understand how to use herbs for health and healing. I hope you’ve enjoyed getting this little behind-the-scenes glimpse into how I make a living as an herbalist. Life, as it always does, will change, and we’ll see where this journey takes me as the years go on. (Psst… read part 2 here!) I’m definitely up for the adventure, and I hope you’ll stick around and join me in it! Let’s Have Some Fun Learning! 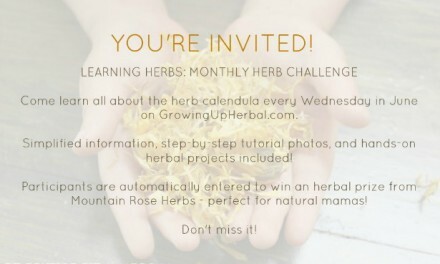 Are You Up For An “Herb Challenge”? Cool glimpse into your business! I love the Bulk Herb Store and have learned a lot from that blog! Congrats, Meagan! I didn’t know you manage HANE’s blog, too. That’s wonderful! I wish you the absolute best in all your herbal adventures. Yeah! I just started recently. Thanks for the kind words and the support Kristen! I couldn’t do it without my blogging buddies! I’m so glad you’re one of them! Great Job Meagan ! In this busy world everyone needs that help to stay on top of their business and brand for sure, so being on the blog of both of those really is pretty grand !!! When in TN I use to go to BHS and this past year I have gone to HANE much more… studying on my own for now, but at some point may take courses ! You do an excellent job ! Thanks so much Linda! Best of luck with your herbal studies! Wow Meagan that is awesome! You do a wonderful job and you are giving lots of people great peace of mind of learning of what God gave us to heal ourselves. I always enjoy your blogs and others that combine their experience in herbs. May God Bless you.. I loved the insights into how you got where you are! I love your blog and all things herbal. 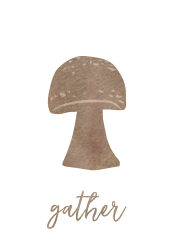 I’ve been tossing around the idea of starting an etsy shop as well. I’m sure you’ve got a wealth of lessons learned there. Have you written a blog on that? That’s actually what I did before starting GUH. I had a blog for helping moms make a successful Etsy shop. Anyway, it’s long gone now, but there are some great blogs out there to help you with business. April from BlacksburgBelle.com and Mayi from HeartmadeBlog.com have some great tips. Best of luck!! awesome, i will look into them! thanks love! Awesome, Meagan! You go, girl! Love this peek into your life as an herbalist. Very interesting. I can’t believe you have the time to do it all! Whew! 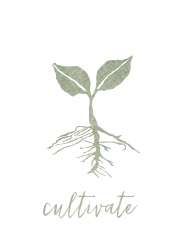 I am a huge fan of the Herbal Academy’s blog. Always such great content. I’m not that familiar with BHS’s blog but I’ll be checking it out. Thanks, Jen, and I definitley have to prioritize things in my life because, like most of us, I don’t have time to do ALL I want to do. LOL! Thanks for your comment, and nice blog!